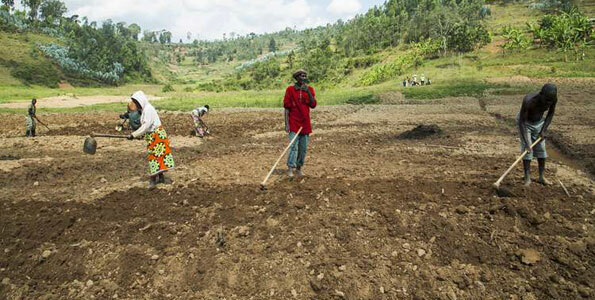 Rwanda’s agriculture sector is developing with improved technologies and innovations but some farmers still face challenges in getting early seeds and fertilizers from agro-dealers. This affects their yields as they do not plant on time according to some farmers who shared information to The Inspirer during the recent Agriculture show at Mulindi in Gasabo District. 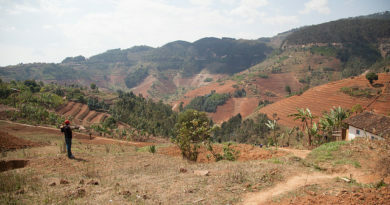 Raphael Ndagijimana, 35, is a farmer from Gasabo District in Ndera Sector who said that a part from the climate change that sometimes triggers lack of rainfall at the beginning of agriculture season, fertilizers also are not found on time. “We wish to have fertilizers on time. it delays us to plant early and this has negative impacts on the yields,” said Ndagijimana. Jean Baptiste Ndayambaje, 34, is from Rulindo Disstrict, Mbogo Sector. With the similar issue, he told The Inspirer that they do not get fertilizers early to start planting seeds. Francoise Kampire, another Farmer from Bumbogo Sector in Gasabo District grows beans, maize, vegetables, cassava and potatoes. She said agro dealers are far from farmers and their store have not enough agriculture inputs because sometimes farmers can miss what they need from the Agro-dealers. Jeanne d’Arc Nyaruyonga, Input Supply Advisor, USAID-Hinga Weze project contractor said that Hinga Weze will soon introduce Farm Service Centers countrywide to help farmers get agriculture inputs such as seeds and fertilizers without making long journey as the centers will be very decentralized. This facility will be initiated in the districts where Hinga Weze is working from and will be scaled up countrywide. With this move, she said, small holder farmers will be able to find seeds of maize, beans, fruits and different kits in general to ease their agriculture. 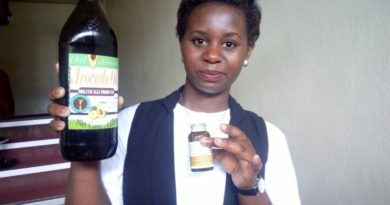 “Smallholder farmers are able to find all inputs they need at Hinga Weze’s agronomists without going to agro-dealers, and there are other shops for animal nutrition and drugs to help increase milk production,” she said. 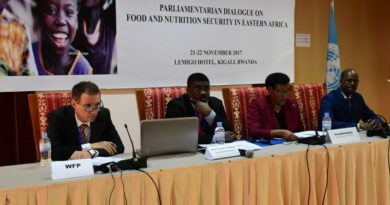 Nyaruyonga said that this initiative will respond to the current problems where the agro-dealers have not enough capacity to avail all materials farmers need. She noted that sometimes it can happen that a farmer misses the inputs from an agro-dealer because of limited capacity to bring them in their shops. “This is in our innovations, in October, with our second year of operation, we will try to avail this programme in all the districts of Hinga Weze and will help farmers get market for their produce at farm service centers,” said Nyaruyonga. Hinga Weze pledges to bridge the gap of Agriculture inputs shortage through Farm Service Center which they believe will improve the agriculture productivity in coming years. Besides, farmers will be taught on nutrition improvements for the social welfare of their families.